Eliav grew up in Kiryat Arba, one of six siblings in the family, and studied at the Mekor Haim Yeshiva in the Etzion Bloc. After his marriage to Rinat, he settled in Karmei Tzur, in the southern Etzion Bloc. 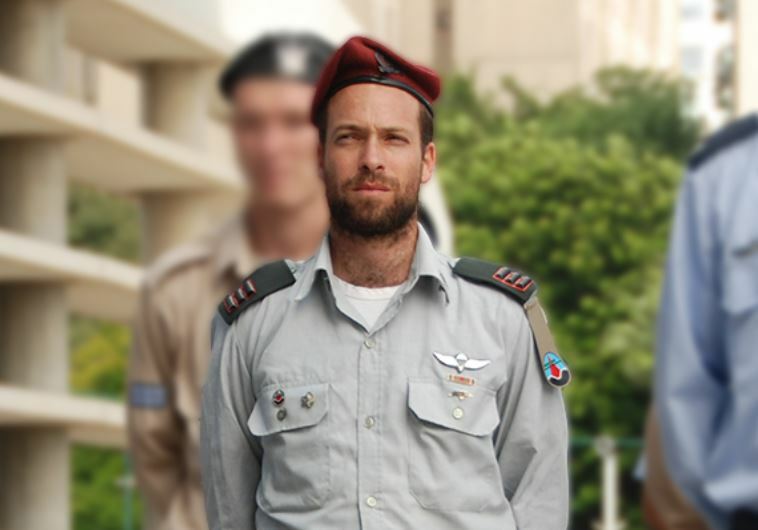 He served in the IDF as a paratrooper, becoming an officer. In 2014, Gelman took part in Operation Protective Edge. He later served in a unit that coordinates between the air force and ground forces, from which he was discharged several months ago with the rank of captain. He had begun studying development and training, with the aim of developing a civilian career. Maj. (res.) 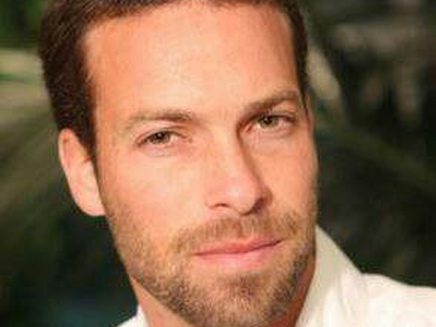 Eliav Gelman was buried in the Kfar Etzion cemetery. 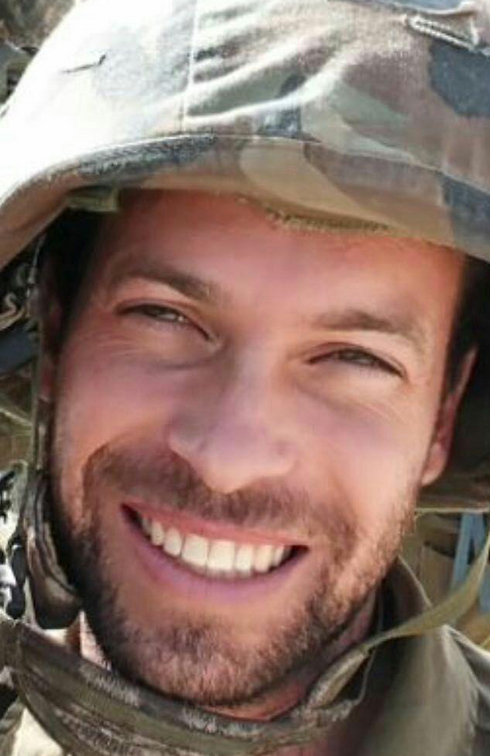 He is survived by his wife Rinat, seven months pregnant, their two sons, Yair (5) and Yoav (2), parents David and Sarah, three brothers and two sisters. 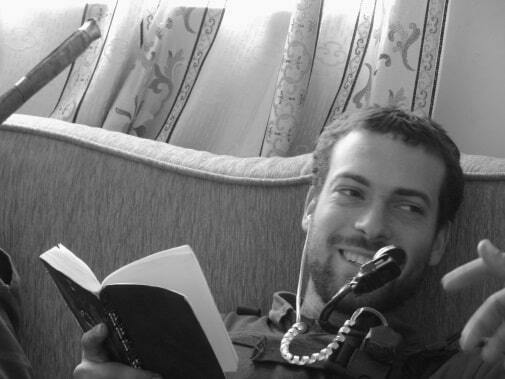 Eliav was a commander in the IDF’s Paratroopers Brigade. He shaped his soldiers and turned them into true Jewish warriors. He led his troops with courage and heroism, with humility and strength, in “Operation Cast Lead” in Gaza in 2009, and in various other combat situations. In his last years in the army, he became a high ranking officer working in cooperation with a unit from Israel’s Air Force. 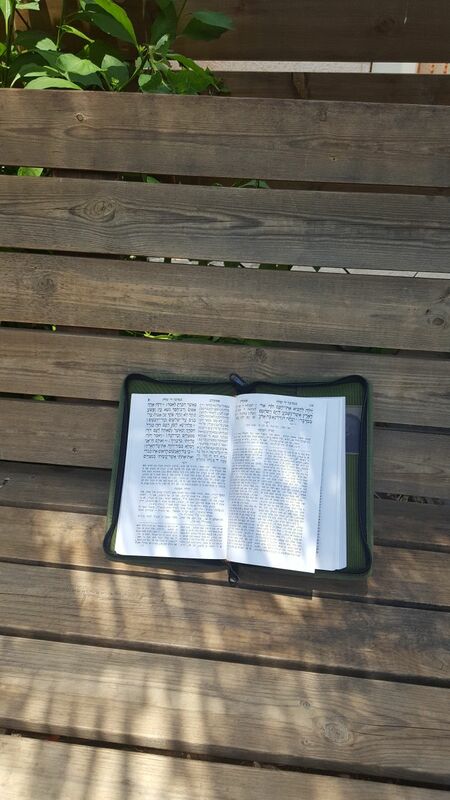 We only earned post-mortem from his diary that each time Eliav ascended in rank in the army, he would compete another tractate of learning in Gemara. He finished the Tractate of Megillah after receiving his military beret, Pesachim at the end of another course, Tractate Yoma upon completion of his officer’s course, and Shabbat upon becoming a commander. Eliav liked to sew and was great at fixing things. 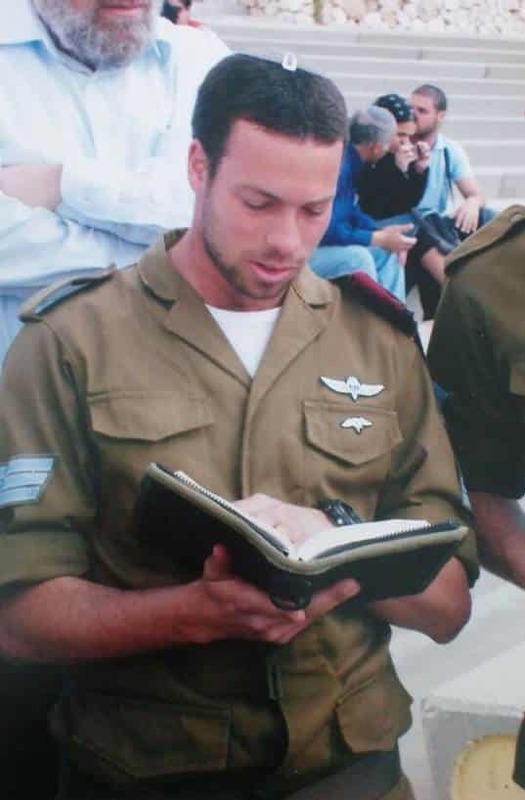 He even sewed a special pouch for himself on his IDF vest, and made another one for his brother, suitable to hold a Gemara or other religious texts, so that the ‘Torah’ could always be on him as another tool of strength while serving as a fighter in the Jewish army. 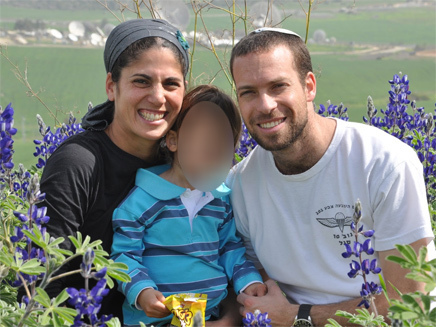 On Purim in 2016, Major Eliav Gelman was killed fighting off a terrorist in an attack at the Gush Etzion Junction. 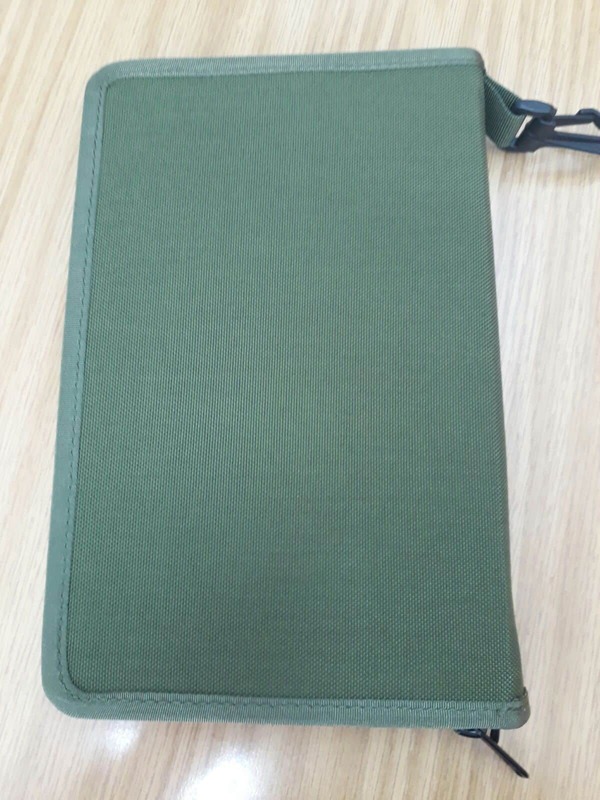 After his death, we took Eliav’s special design and reproduced it so that other soldiers can benefit from this special pouch to hold their sacred texts while on duty. 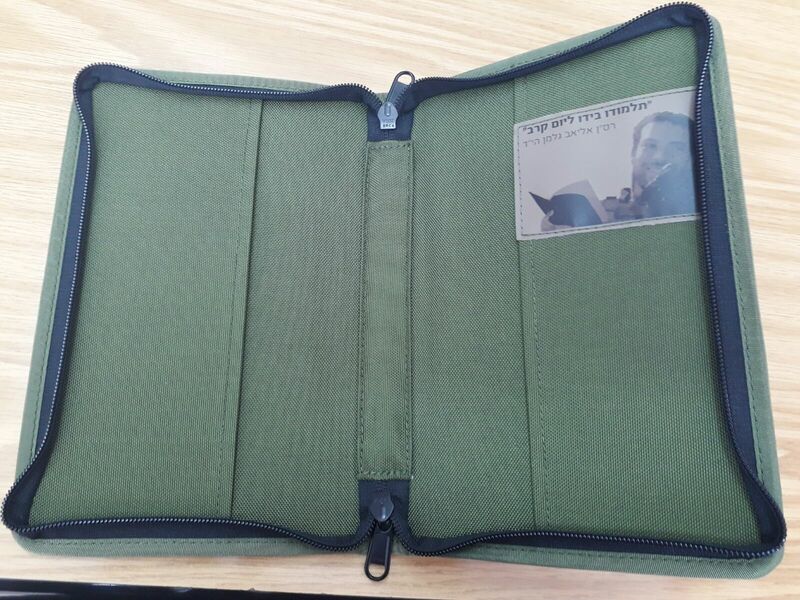 We hope that officers and soldiers who carry books of Torah with them, will continue in this unique way of the Jewish army – combining Torah with everyday life.